Aspen Pharmacare Holdings Ltd.’s infant formula business has drawn interest from companies including Reckitt Benckiser Group Plc and Perrigo Co., as the largest African drugmaker evaluates options for the business, people familiar with the matter said. Family-owned French dairy group Lactalis and Australia’s iNova Pharmaceuticals, controlled by Pacific Equity Partners and Carlyle Group LP, are also weighing offers for a stake in the business, according to the people. The unit could fetch a valuation of about $1 billion to $1.5 billion in a potential sale, the people said, asking not to be identified because the deliberations are private. Shares of Aspen rose 4.5 percent Wednesday in Johannesburg, the most in three months. Aspen said in January it was considering whether to bring in a partner for its infant-milk formula business after receiving an offer last year. It said at the time it had hired Centerview Partners as a financial adviser for the review. 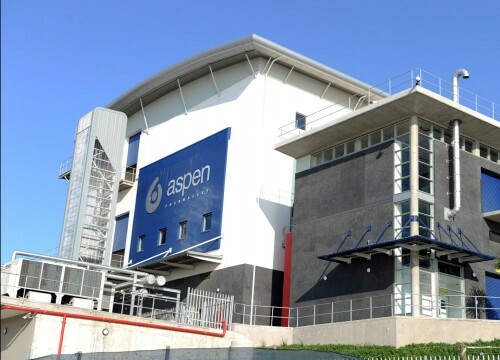 Durban, South Africa-based Aspen has also sent preliminary information on the business to Chinese infant formula producers including Beingmate Baby & Child Food Co., Health & Happiness H&H International Holdings Ltd. and Inner Mongolia Yili Industrial Group Co., the people said. The process is at an early stage, and there’s no certainty the companies will proceed to submit bids, the people said. Aspen may opt to keep the business if the bids aren’t high enough, according to the people. Representatives for Aspen, Carlyle, Pacific Equity Partners and Reckitt declined to comment. Representatives for Beingmate, Lactalis, Perrigo and Yili didn’t immediately respond to requests for comment. An investor relations official at Health & Happiness said the firm is often approached by industry peers launching a sale process. The company doesn’t currently have any concrete M&A plans, she said, declining to comment on any interest in Aspen. Aspen has been using its infant-milk business to drive a push into China. In January, the country’s food and drug administration signed off on the registration of its Alula products, helping Aspen comply with new rules specifying only registered brands can be sold in the world’s most populous nation.